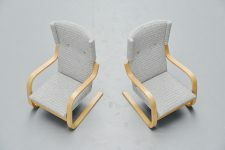 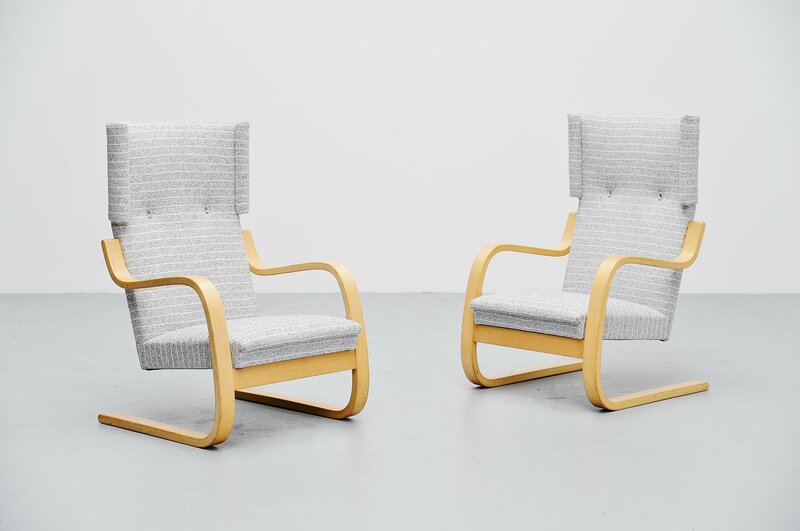 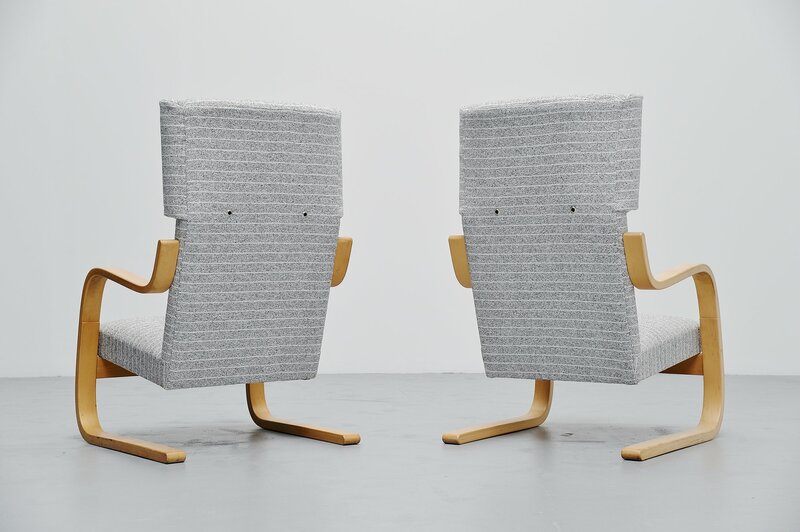 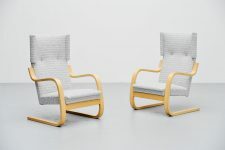 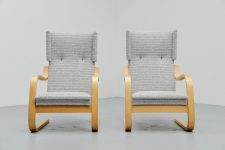 Stylish pair of wingback lounge chairs model 401 designed by Alvar Aalto for Artek, Finland 1933. 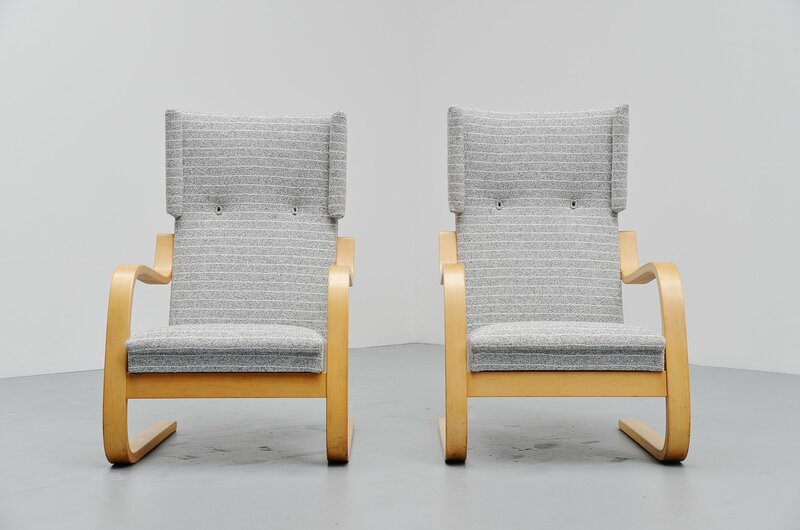 These chairs were purchased at Metz and Co in the 1970s. 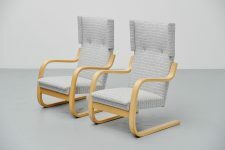 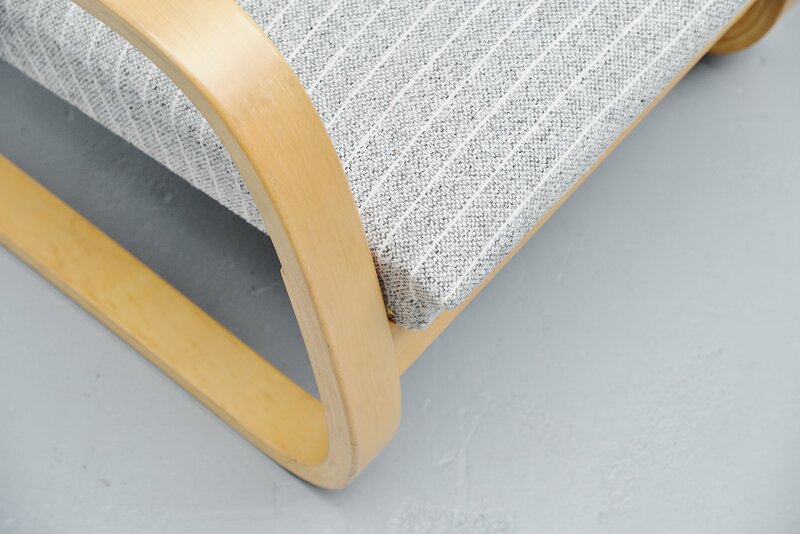 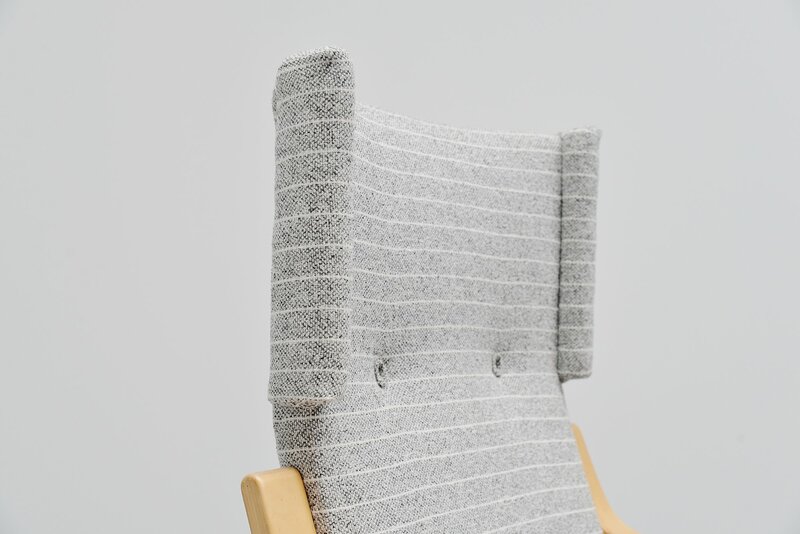 The chairs have a birch plywood frame and newly upholstered light grey striped fabric. 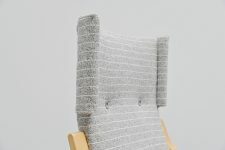 The chairs seat very comfortable and look amazing with the striped upholstery. 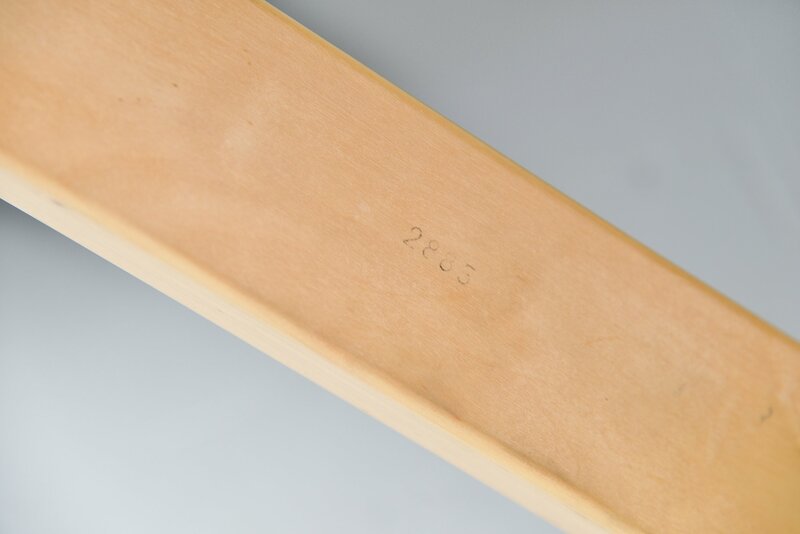 The chairs are numbered on the underside of the legs, impressed and stamped. 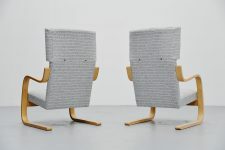 Original chairs manufactured by Artek in the 1970s.